There may be an ugly sweater party coming up for Christmas and you don’t have a thing to wear. Middle of Beyond (the guys in Austin, TX who like to knit and made this rug) won’t supply you with a sweater that is ugly enough to win you that prize of an evil Starbuck’s card, or hellish re-gifted tin of kettle corn. 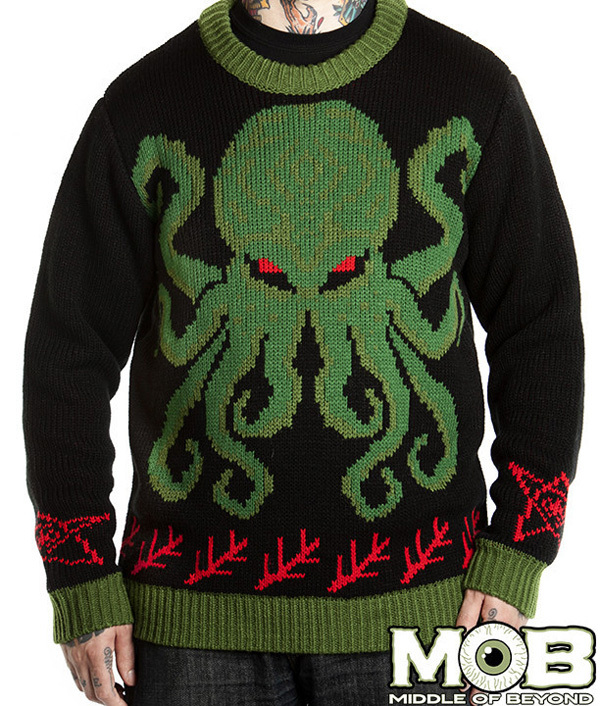 But you will certainly be bringing it home when it comes to rocking the evilest sweater in the room. 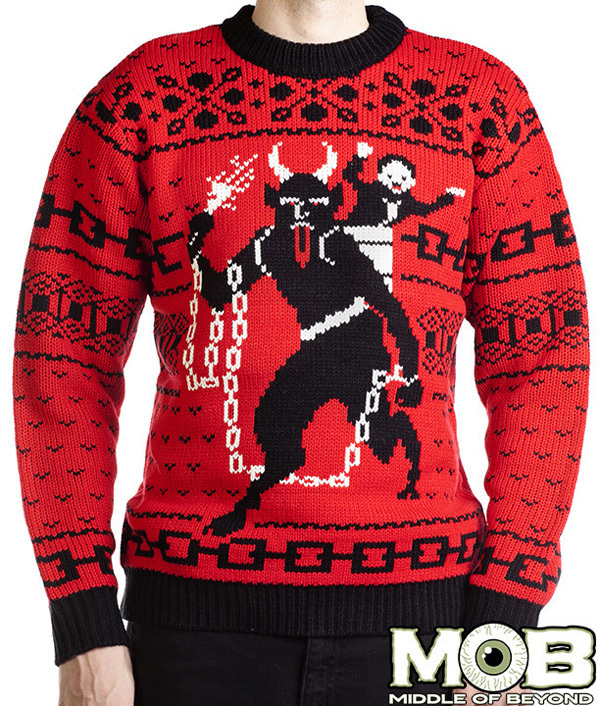 With themes ranging from Krumpus to Zombie Santa to Cthulhu to the goat head of Satan, what better way to show your dark spirit for the absolute gayest time of year? 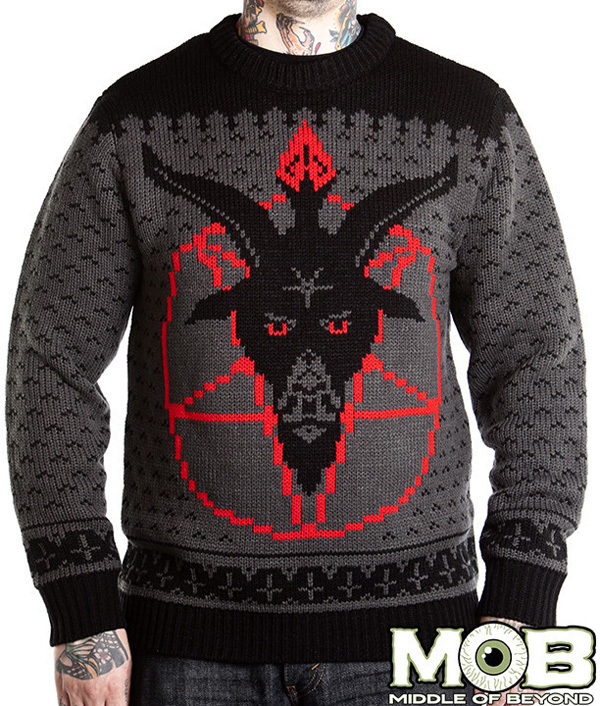 Prices range from $40 to $80 in the MOB sweater store.